Oh what a mess i’ve made of this. 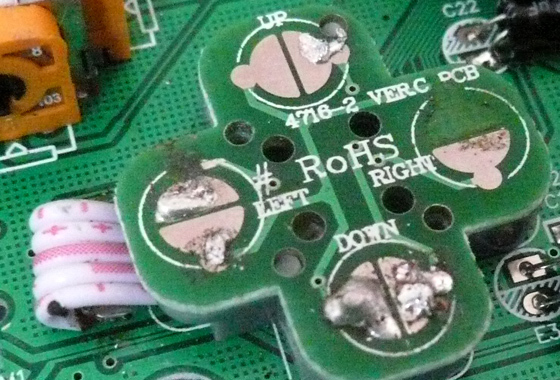 Check out my sweet soldering skills, oh yeah i’m great I know, following an incorrect diagram I accidentally soldered right to a common ground and ended up taking the whole contact off trying to clean the solder off. To make matters worse I’ve also burned through the pcb by the left contact, luckily I scratched a new contact with a craft knife and we’re back in business! 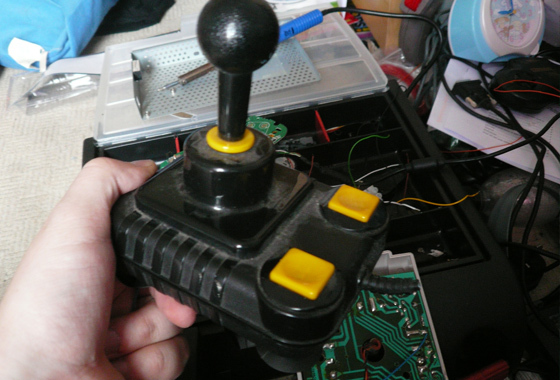 A classic Zipstik arcade stick – used this with my Amstrad CPC 464. I love this thing, such a great stick, might try and convert it to work on 360 once this project is completed! Chopping open the cable yielded lots of wire! I now kinda regret doing so as they appear to sell pretty well on ebay 🙁 equally though, it’s for super obsolete hardware and its gubbins are still perfectly intact. All rewired, I can imagine you’re thinking it doesn’t really look any different to the pic in the previous worklog… and you’d be right! This has all been alot of problem solving because I rushed at the start – learned my lesson now. 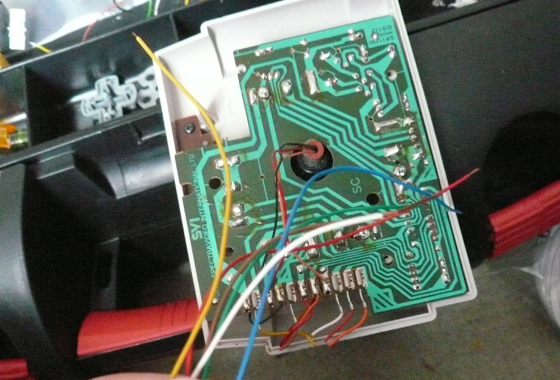 Next I need to implement the trigger hack, try and make this stick a bit less sticky and solder contacts for the 2nd stick to face button wiring – not looking forward to this as those contacts look very fiddly!